Happy Wednesday everyone!Hope everyone has been having a wonderful first few days of the new year. To say I am not busy would be a complete understatement, but I know a plan is in store for me and I am excited to keep uncovering it! 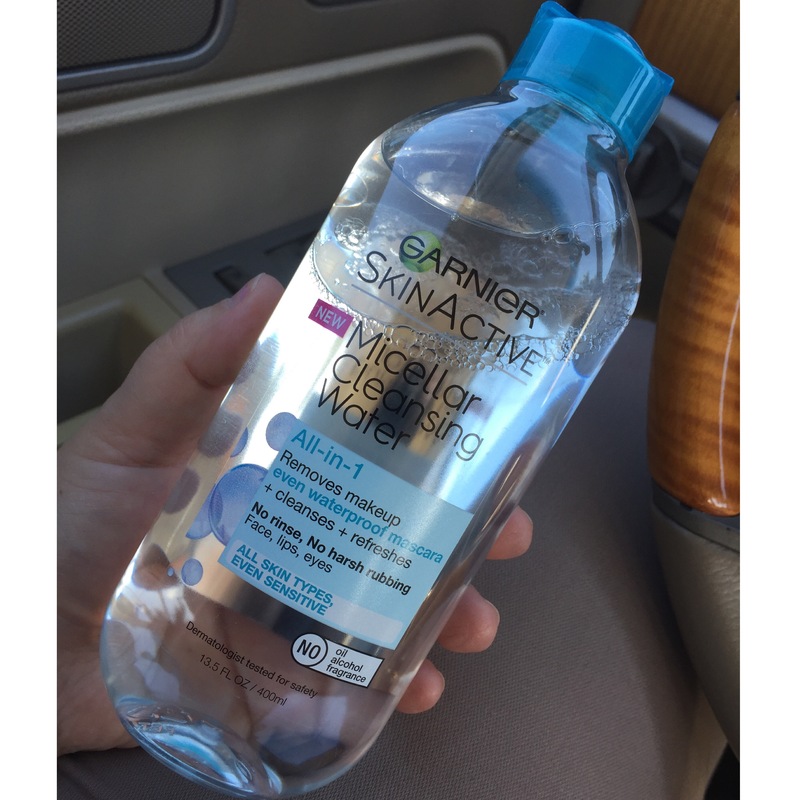 I just wanted to jump on here quickly to give an update and review on my latest Garnier Micellar Cleansing Water purchase. Okay, so I originally purchased this product because recently my skin has started to feel irritated and sensitive after removing my makeup with normal makeup wipes, especially underneath my eyes. Currently I have been wearing makeup almost everyday as well, so my skin hasn’t had too much time to breathe without a full face on. Therefore, I thought this new makeup remover would be a little better considering my circumstances for hopefully a less harsh solution. There are two versions of this product, I happen to grab the bottle designated to also remove waterproof mascara (blue bottle). Not only is it a makeup remover but it is meant to cleanse and refresh the skin as well. The consistency is definitely closest to water over oil. Know how most liquid makeup removers leave a heavy oily residue? Well this product is great with leaving out the oily substance. Also, the Micellar Cleansing Water is an unscented product; so ideally great for sensitive skin. Lastly, I will confidently say that this product completely removes all of my heavy duty makeup without irritating my skin, pulling out my lashes, or leaving any lasting oily residue after cleaning my face. I purchased the Garnier Micellar Cleansing Water for $10 at Walgreens. Expensive? Yes. However this bottle is HUGE (13.5 FL OZ) and absolutely removes all of the unnecessarily products from my face without leaving it sensitive and raw. This makeup remover is oil free, fragrance free and alcohol free. Highly recommend if you’re on the hunt for a simple makeup removing solution that is ideal for sensitive skin! Have you read my Top Winter Lipsticks for 2016? Go! Click! Read! ….. And lastly, ENJOY! I have been dying to get my hands on bioderma! But I figured this might be a more accessible product for now. I actually need to go buy makeup remover since I’m running low. I have been wearing makeup everyday too and my skin it not happy about that. Definitely going to be giving this product a try. Thanks for sharing, great review!